Cosmetic acupuncture is a way of achieving facial rejuvenation through acupuncture. This form of treatment is safe, natural, and holistic. By using acupuncture we stimulate blood flow to the face while also increasing collagen production to reduce the look of wrinkles. 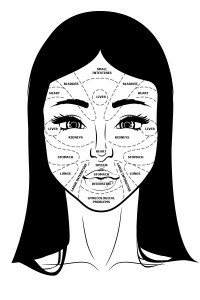 The changes seen with cosmetic acupuncture are more subtle than receiving a traditional face lift but also look more natural. By the end of treatment you will notice decreased wrinkles, and fuller healthier looking skin. Cosmetic acupuncture is made up of a 12 course treatment plan. These treatments are administered once a week for 6 weeks followed by a 2 week rest period and then 6 more weeks. In addition to acupuncture, the patient will also receive dietary advice to keep skin healthy.